As someone once said, fencing in America has traditionally been as exotic as bobsledding in Jamaica. It’s true that fencing is not a mainstream sport in the U.S., but it’s on the rise and more and more American children are training in the sport. Most parents already have a working knowledge of popular sports like football and basketball, but when it comes to fencing, you likely need some help learning what you need to know. As parents, we know that our children will only succeed with our help and support … and supporting our children means taking the time to develop a strong understanding and knowledge of their activities—whether you’re studying up on Pre-Algebra or, in this case, diving into the rules of a new sport. We want to help you because we are passionate about fencing and about athletic competition for children. 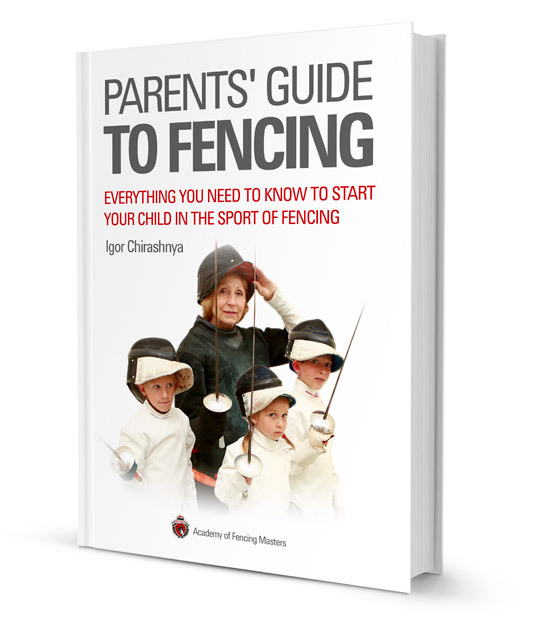 To that end, we’ve created A Parent’s Guide to Fencing: a fun and informative book that includes everything a parent needs to know as his or her child starts out in the sport. We’re sharing it openly and encourage you to do the same. How much will I spend on competitions and equipment? How do the age categories work? What should I expect at a fencing competition? For answers to these questions and more, please read our book and share it with other fencing parents. We welcome your comments and feedback: contact us.